to have suffered physical trauma in a manner consistent with crucifixion. Believers contend that the image is the face and body of Jesus. It makes logical sense that the device referred to as the "Jesus phone" when it launched in 2007, would finally debut the Jesus cloth in a divine iPhone app of biblical proportions. Beginning on April 10th, The Holy Shroud will once again be put on display for gawkers to marvel at in the Cathedral of Torino through May 23rd. Pope Benedict XVI will be in Turin on Sunday, May 2, 2010 to bless the event. It's speculated that the Pope will be showing off iSindone on his own iPhone 3GS and plans to call for the immediate development of an iPad version of the app as well. iSindone is a free app until April 10th. 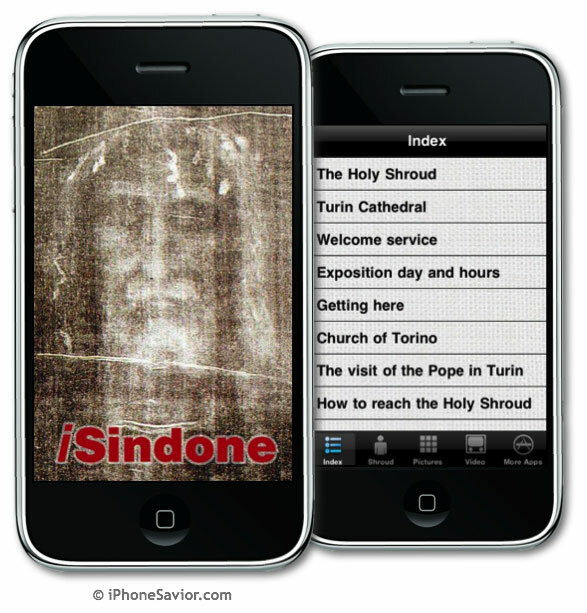 The Holy Shroud of Turin, now there's an app for that too.